NET WORD OF THE WEEK: The “Net Word of the Week”, originates from the 20m National Voice Net, then broadcasts over the Regional Nets and is finally shared during the local nets. Using a single source demonstrates the effectiveness of the nets, identifies any gaps in the network, and helps us practice passing information. NET CHECK-IN FORM: Let us know you are out there! Use the NET CHECK-IN FORM and let us know how you heard the net! Examples: Monitoring using a Shortwave radio with SSB, Monitoring via websdr, Net Control Station was unable to copy you. NET CHATROOM: There is a Chat room available during the nets for AmRRON members. The chat room password is the same as your AmRRON member password. Be sure to use your AmRRON Code Name (not FCC call signs) as your user name. CLICK HERE TO ENTER CHATROOM. NOTE: Net Frequencies are +/- depending on QRM. Be prepared to moved up & down the dial until you find the Net. NOTE: The National Evening nets are held on Wednesday evenings (USA) So, technically, very early morning of Thursday, Greenwich, England. 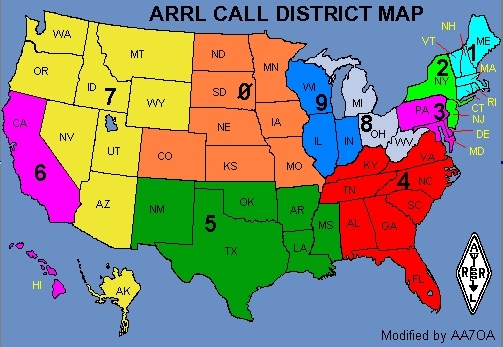 The 20m Voice Net calls check-ins by district.